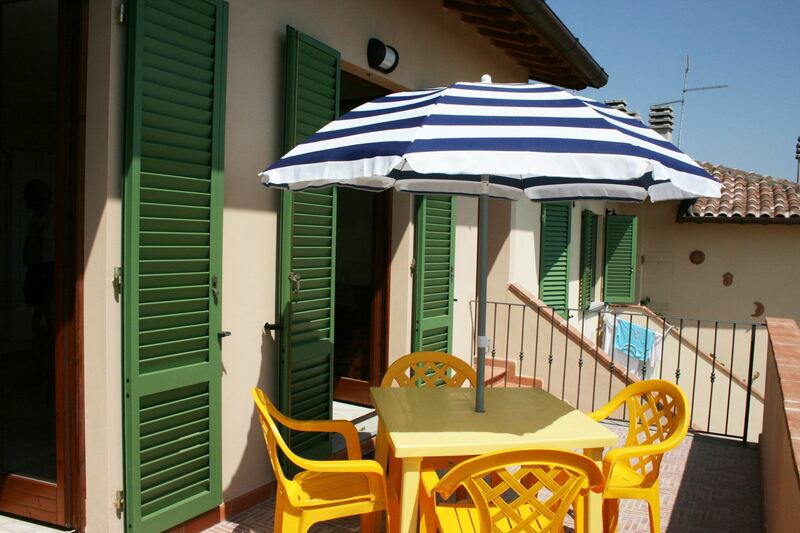 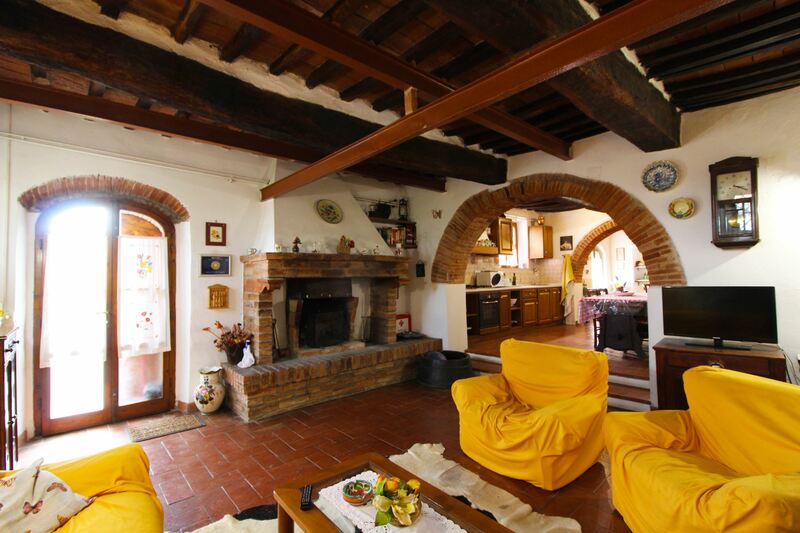 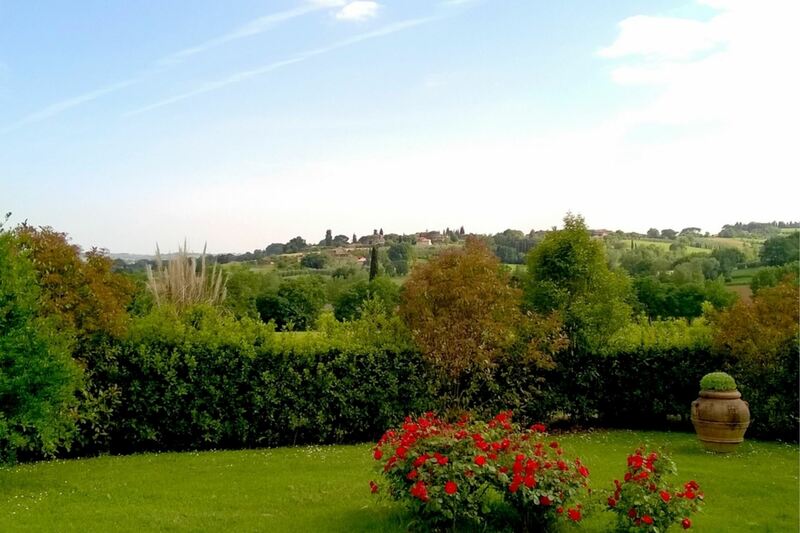 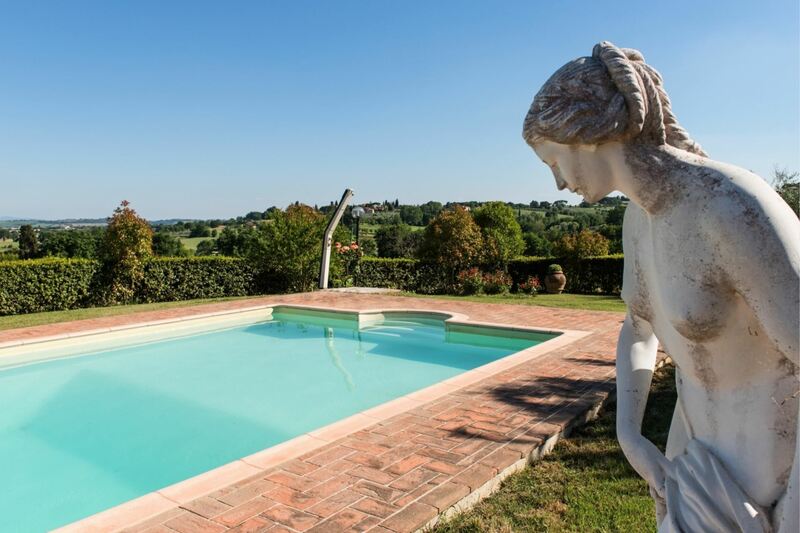 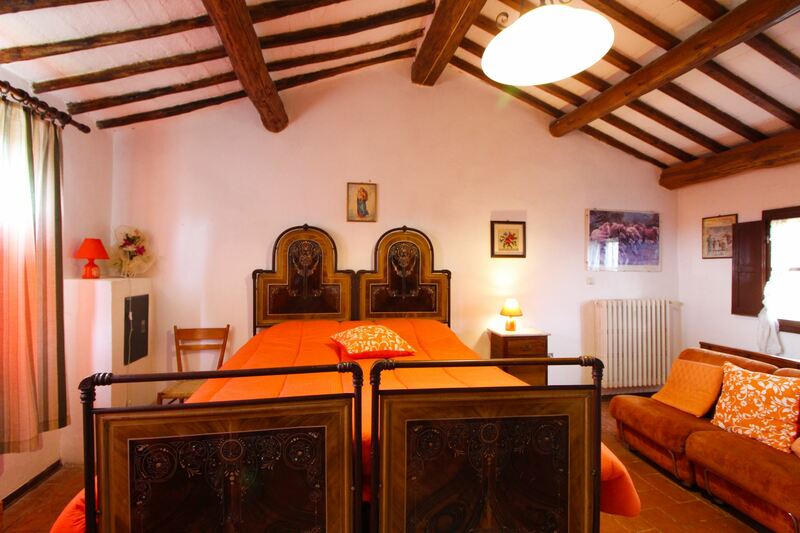 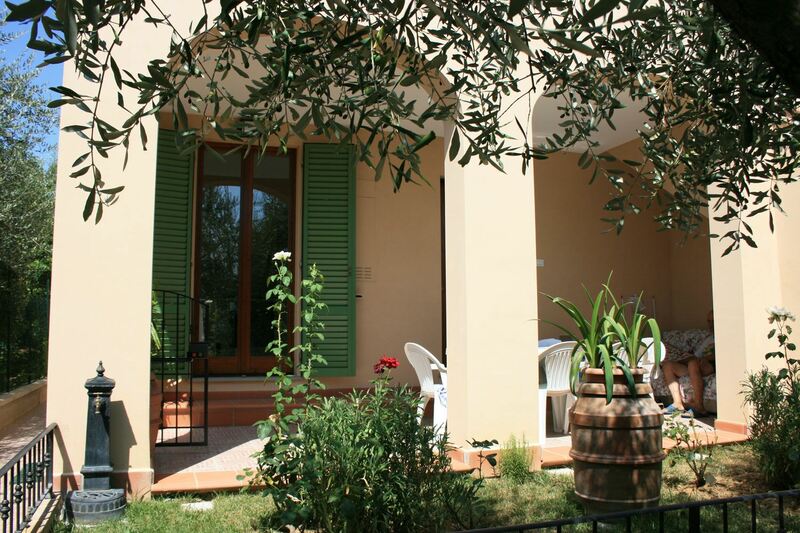 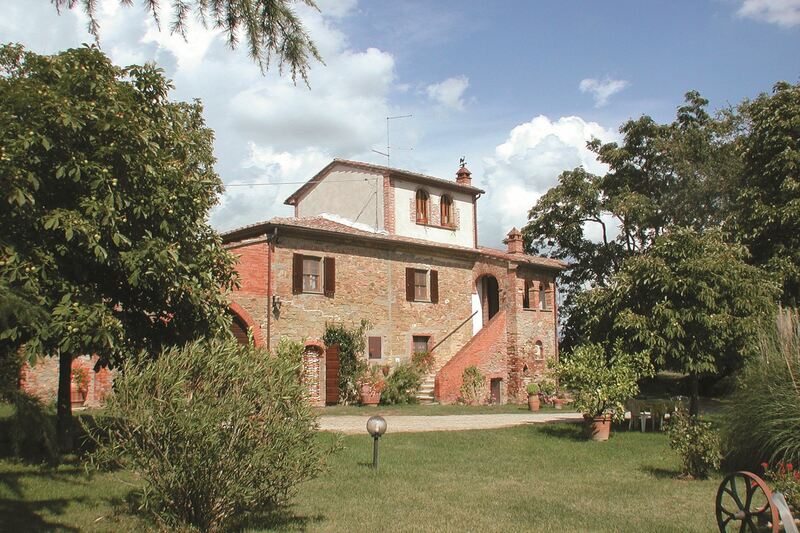 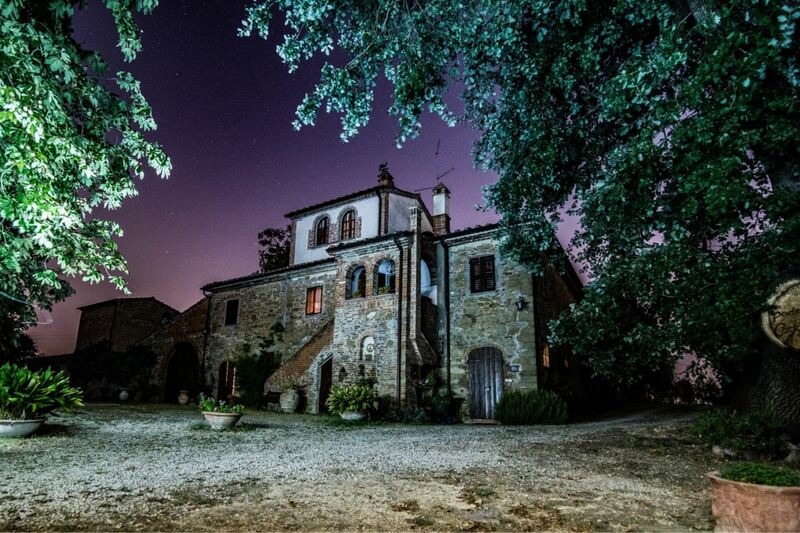 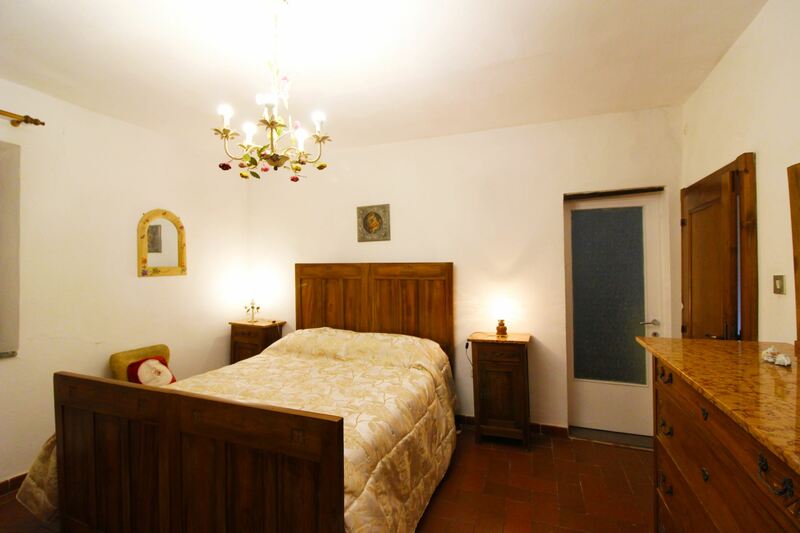 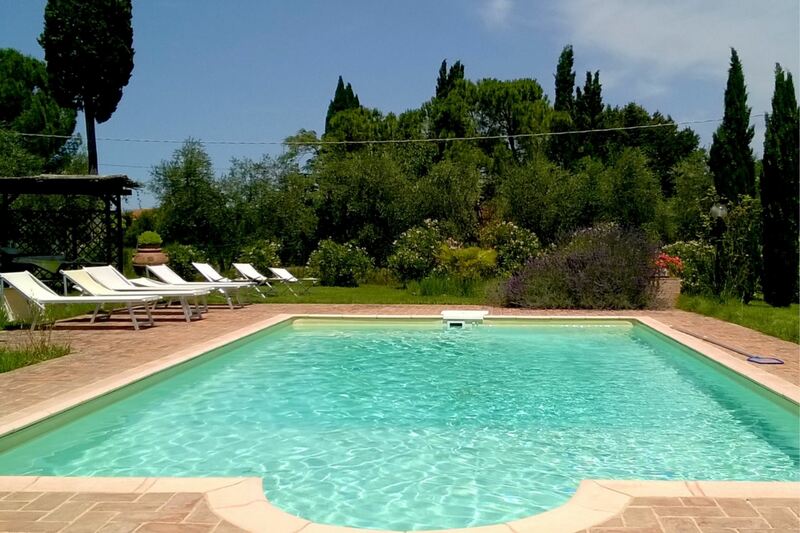 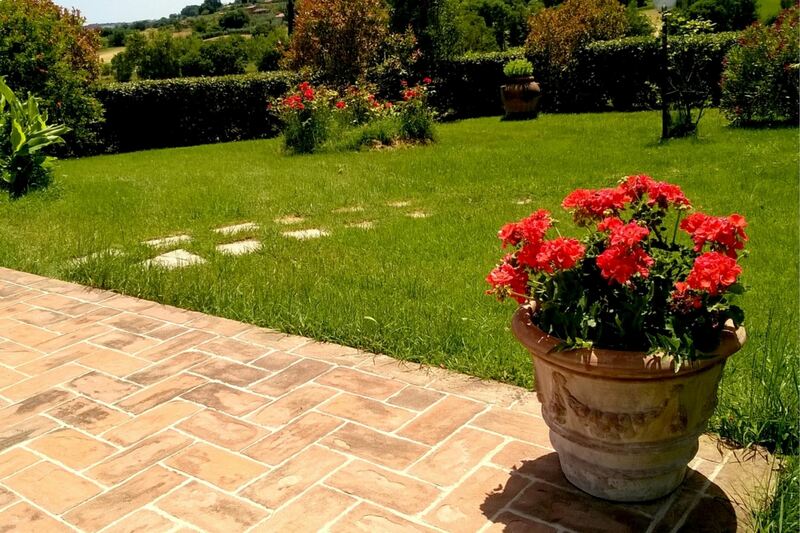 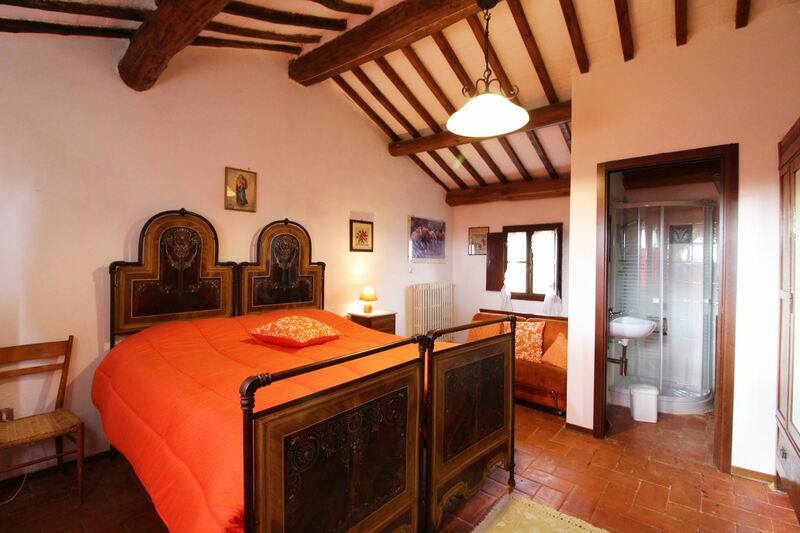 6 bedrooms villa with private and fenced pool, nearby Marciano della Chiana, province of Arezzo. 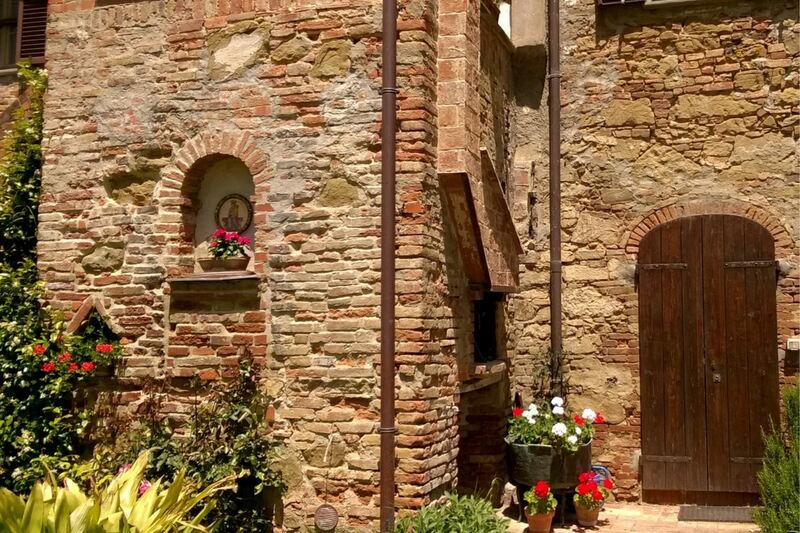 Good starting point to go around and visit Tuscany. 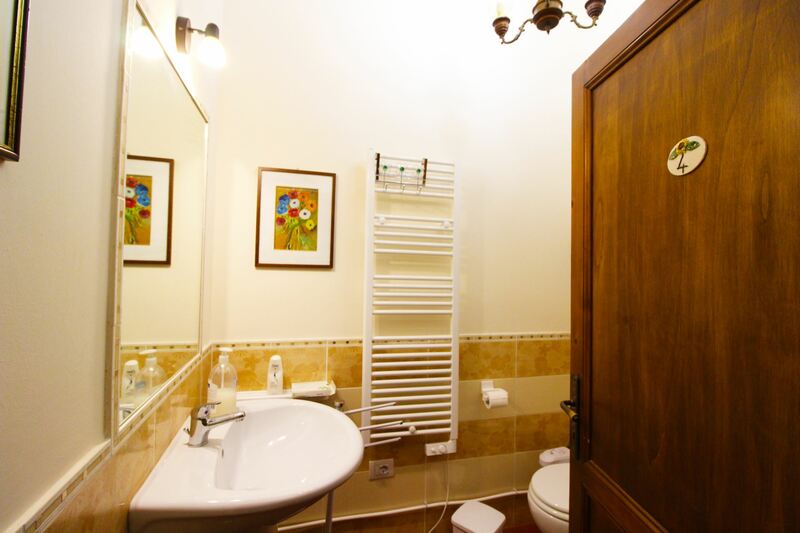 Pets welcome and Wi-Fi at disposal. 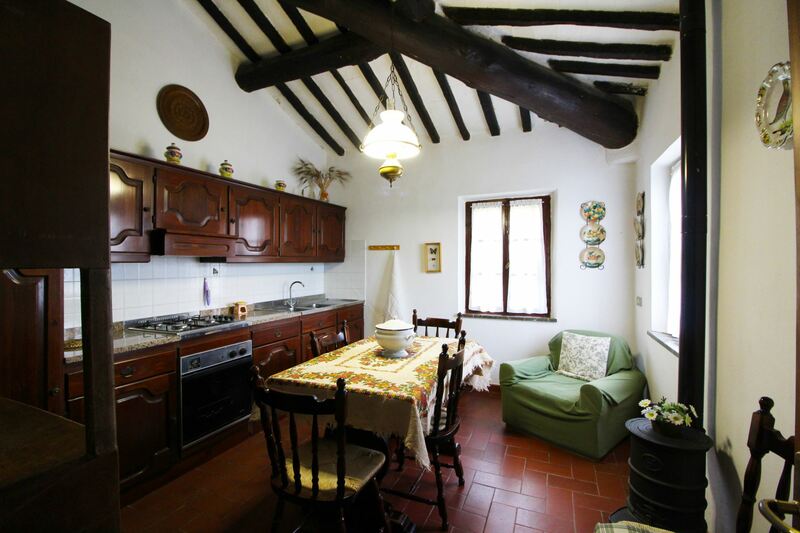 Old peasant farmhouse close to the village of Marciano della Chiana. 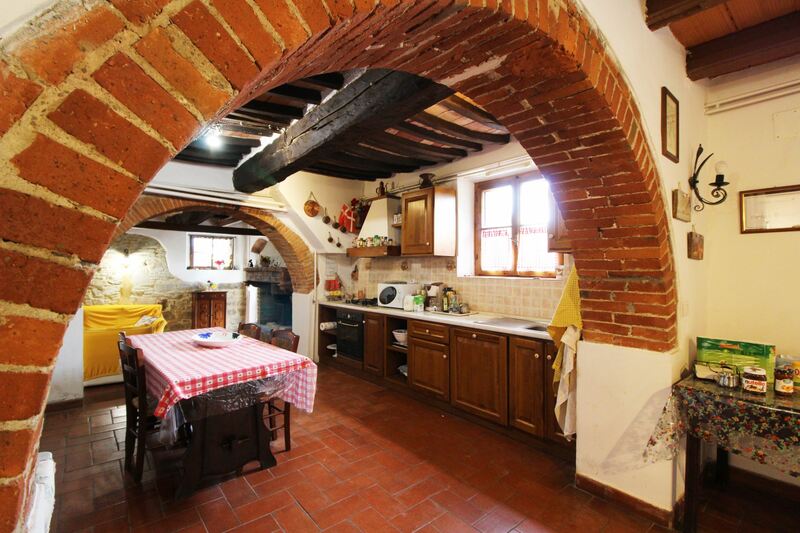 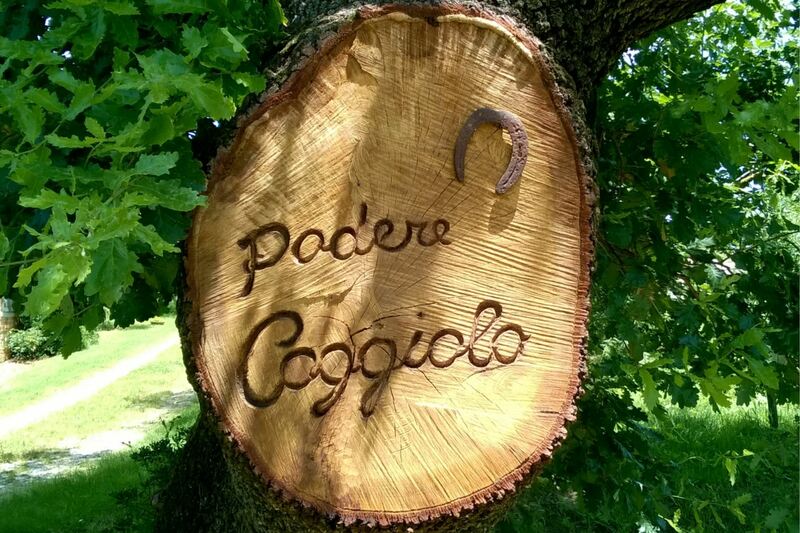 Podere Caggiolo is a enchanting holiday farmhouse idela for those of you who would like to spend an unforgettable holiday in the warm and relaxing atmosphere of the old farmhouses that have, up to now, preserved their original architectural features. 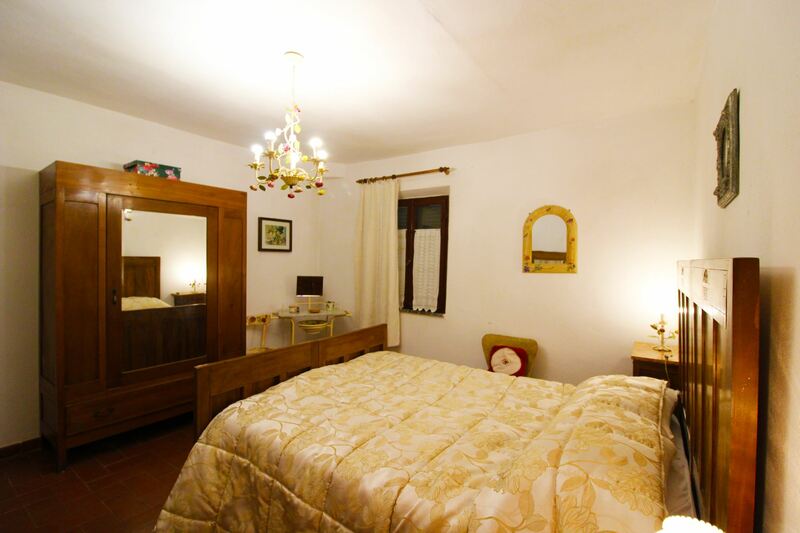 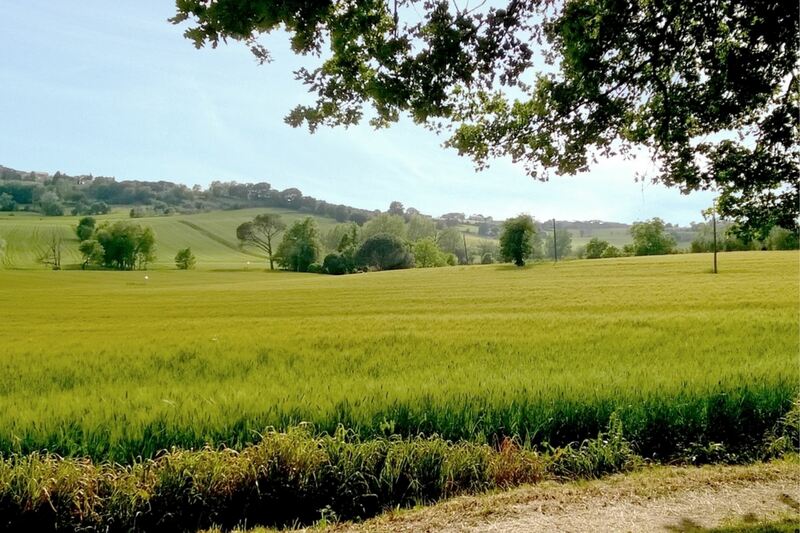 Situated on the slopes of the hill which from the medieval village of Marciano della Chiana goes gently down towards the plain below, this is the ideal place for those of you who still manage to switch off and want to forget the deafening noise and frenetic pace of modern life. 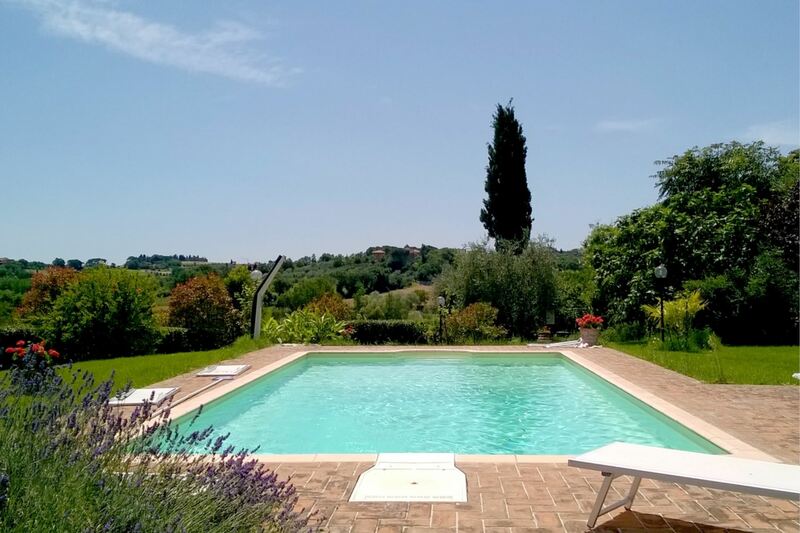 Valdichiana's landscape, fenced pool and cozy furnishing. 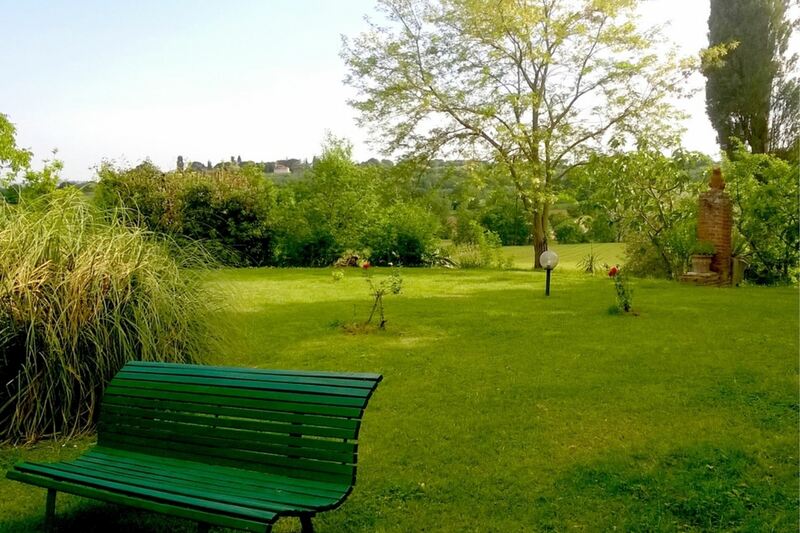 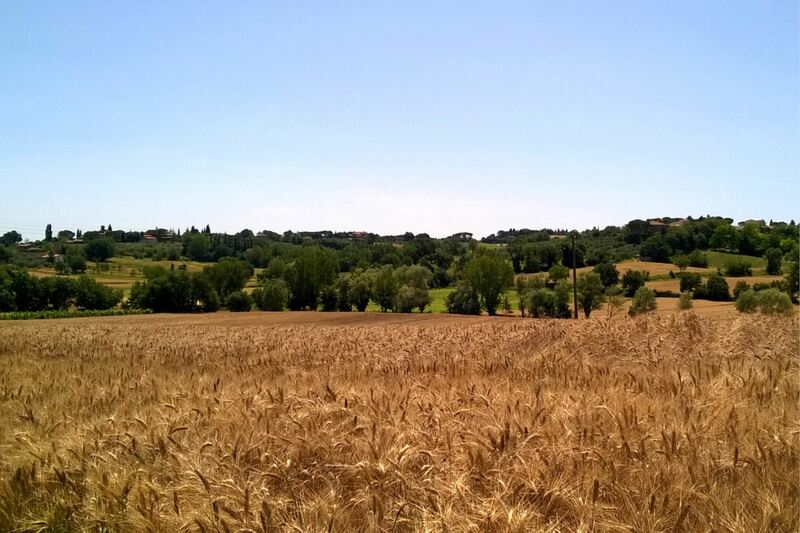 From the house and front garden you can admire the harmonious view of the fertile and immense Valley of the Chiana, enclosed on the horizon by the mountain ridges of the Apennines. 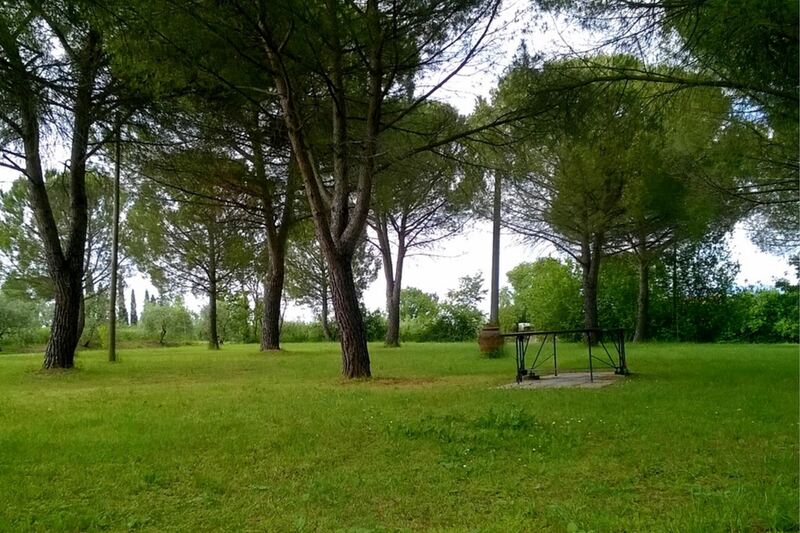 All around the house a large garden equipped with gazebo, garden furniture, barbecue and shaded by old oak trees, olive trees and other tall trees. 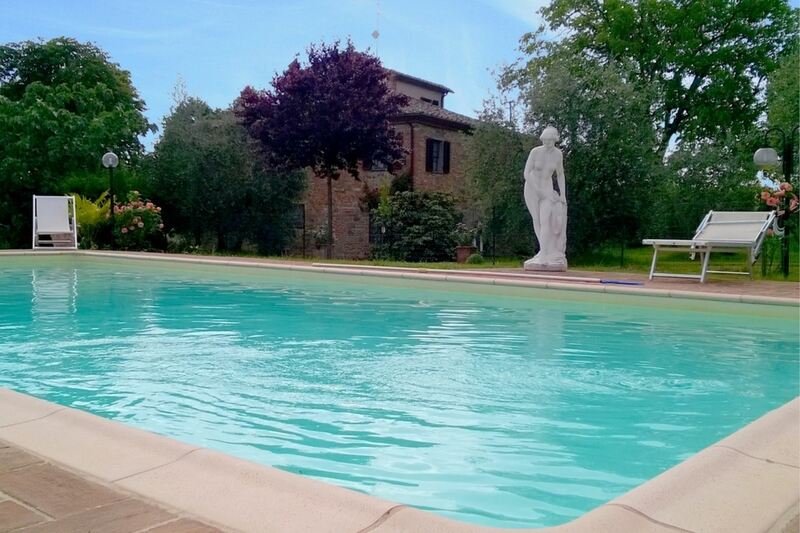 On one side of the garden (which is around 5000 m2) there is a beautiful, completely fenced swimming pool (5 x 10 m., depth 1,20-1,80 m.) where guests can spend pleasant days in the hot summer sun, regenerating body and mind. 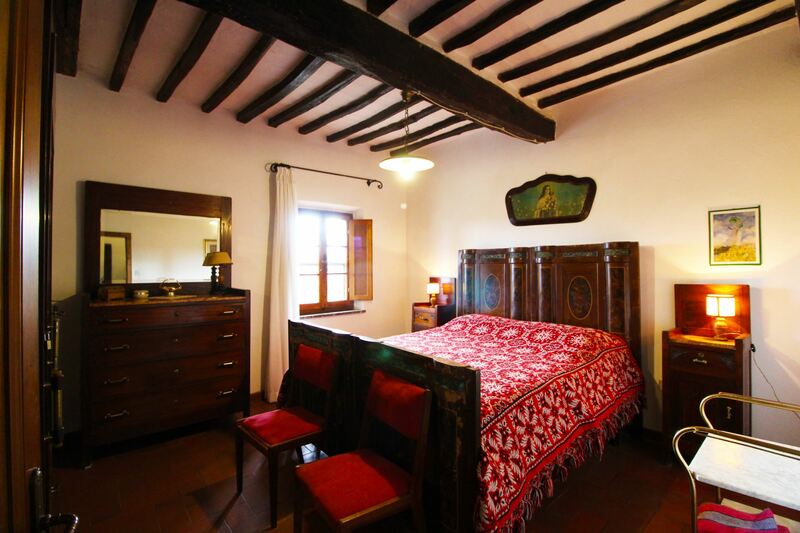 The house has been furnished with period furniture and is very comfortable. 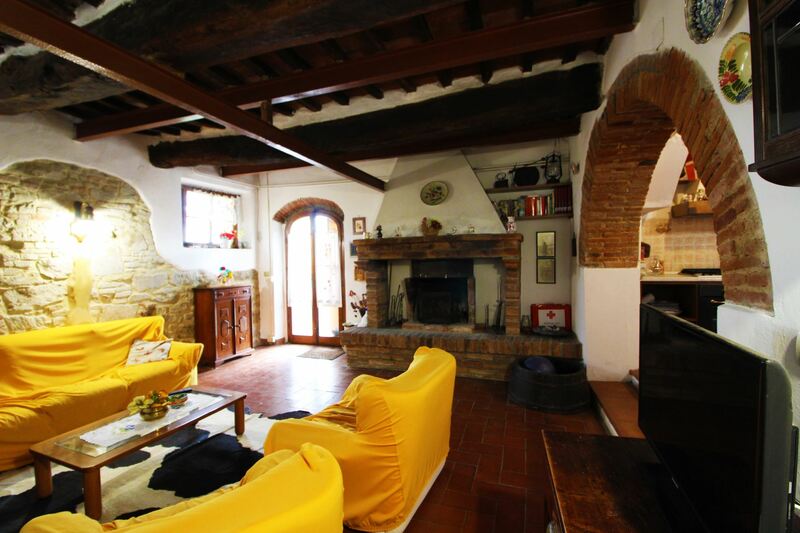 GROUND FLOOR: entrance on a wide living room with arches, dining room with kitchen corner, sitting area with sofas, fireplace and TV, double bedroom with private bathroom with shower, double bedroom with added single bed and private bathroom with bath. 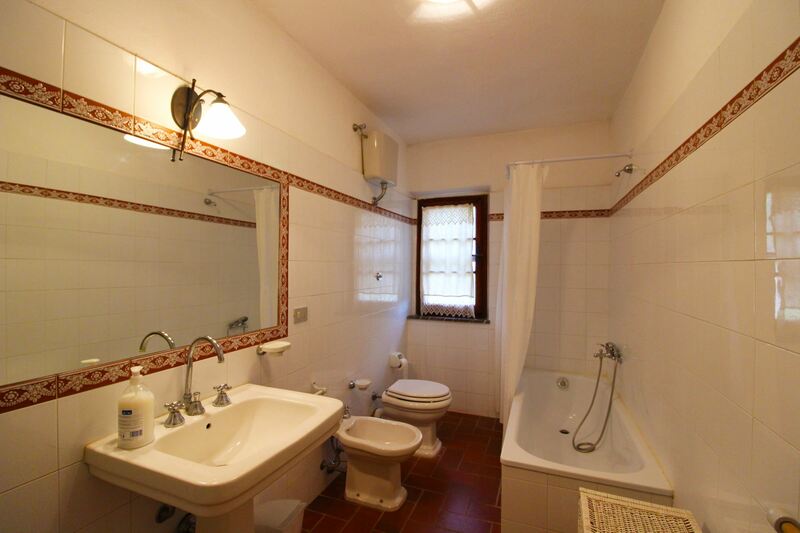 FIRST FLOOR: access both via internal wooden staircase and external stone staircase with typical, panoramic loggia, sitting-room with fireplace, sofa and TV, kitchen, double bedroom with private bathroom with bath, double bedroom with private bathroom with shower, double bedroom and bathroom with shower. 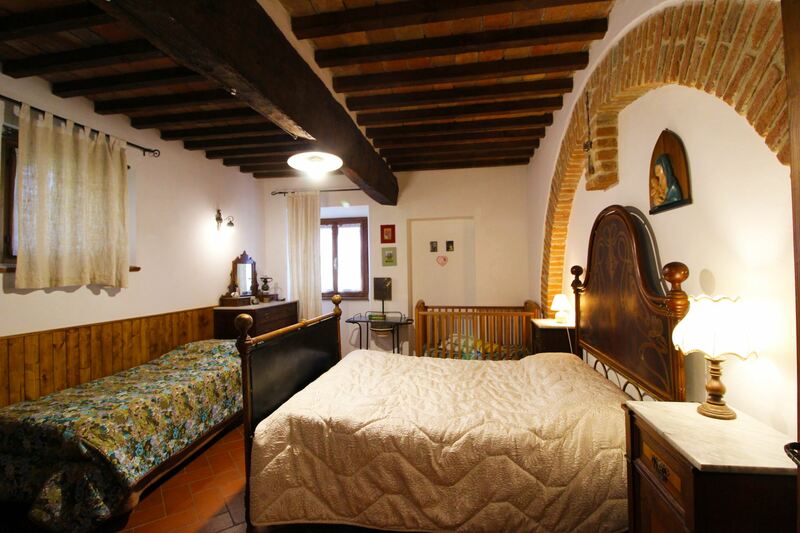 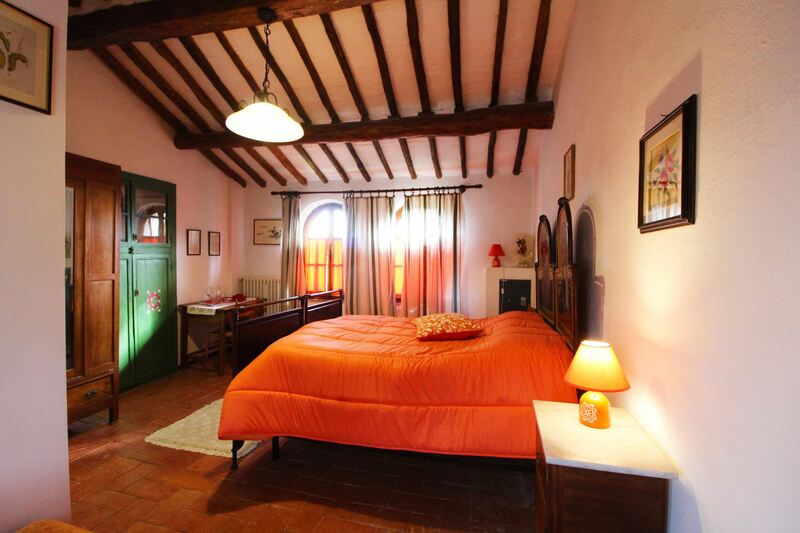 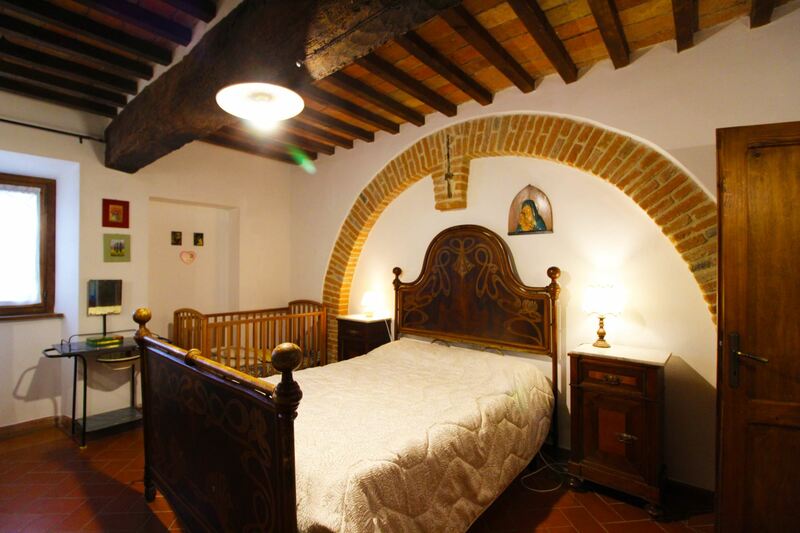 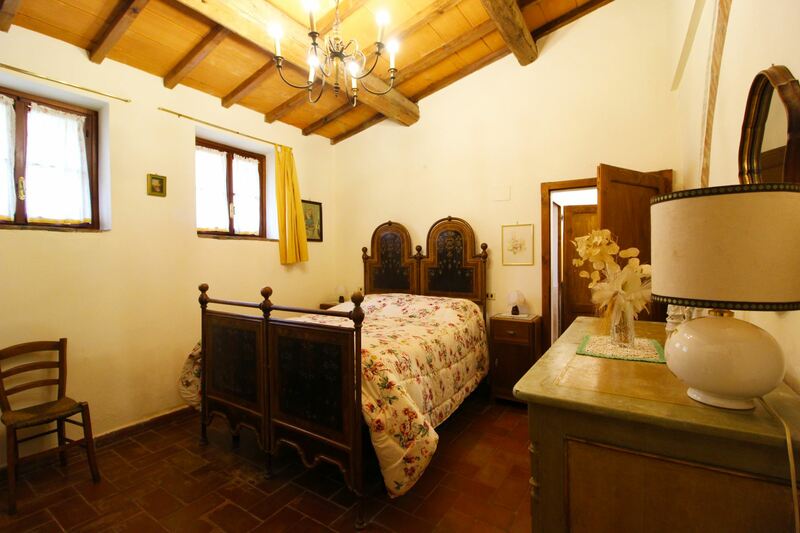 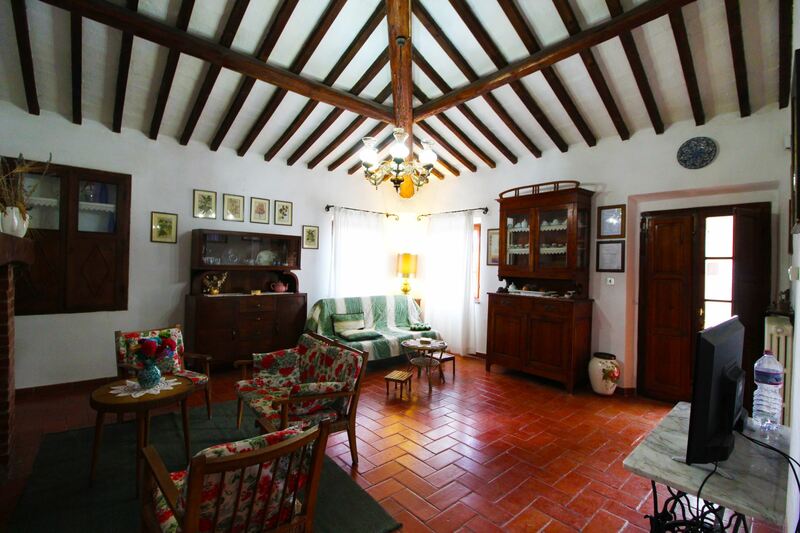 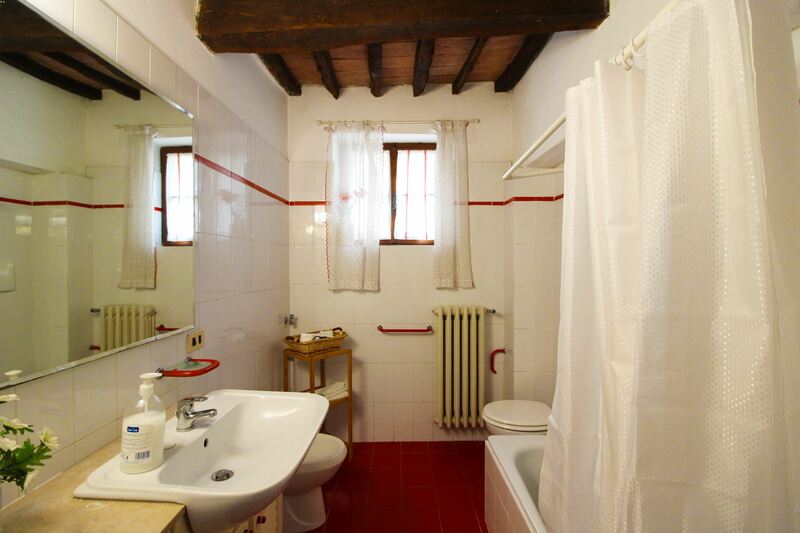 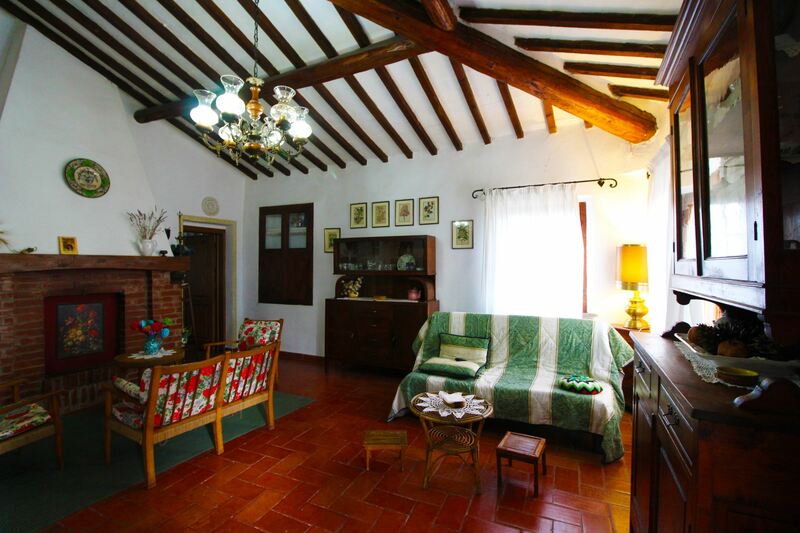 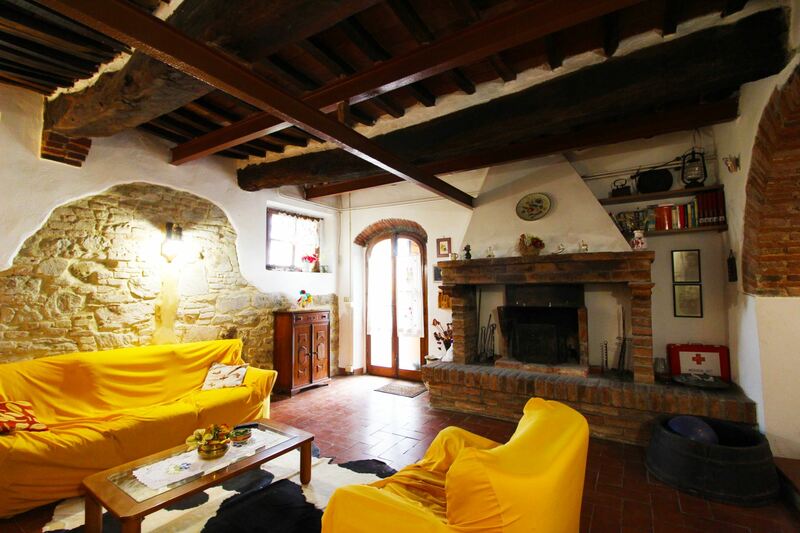 With access via wooden staircase, attic with double bedrooms with private bathroom with shower. 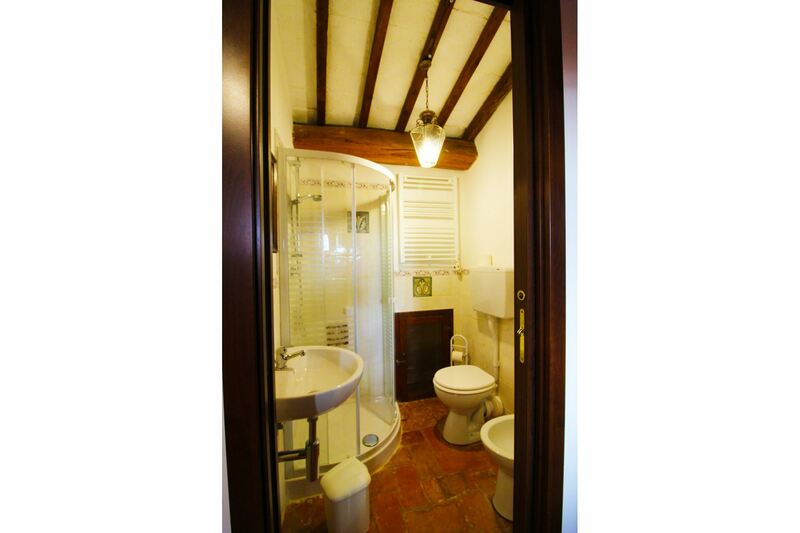 EQUIPMENT: washing machine, dish-washer, freezer, Satellite TV, DVD player, oven, iron, safe, microwave, fly-screens, table tennis, filter coffee maker, Wi-Fi Internet access, toaster, high chair. 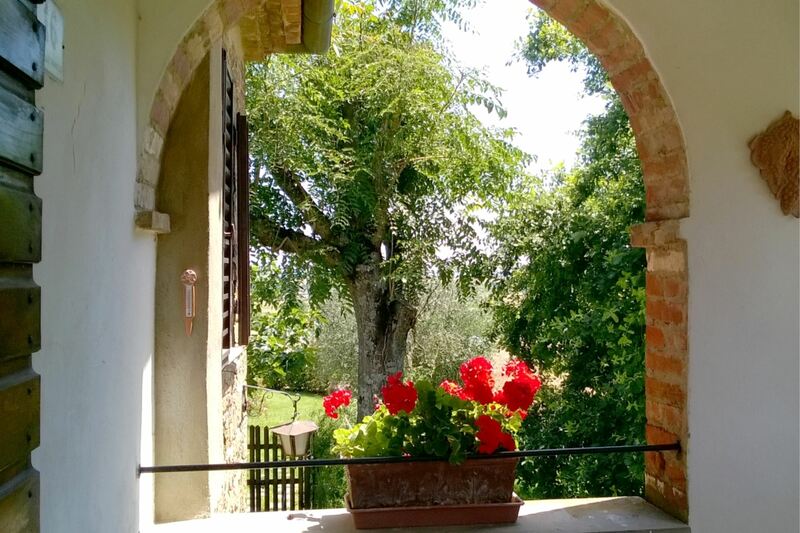 CHECK-IN between 3 and 7 p.m. 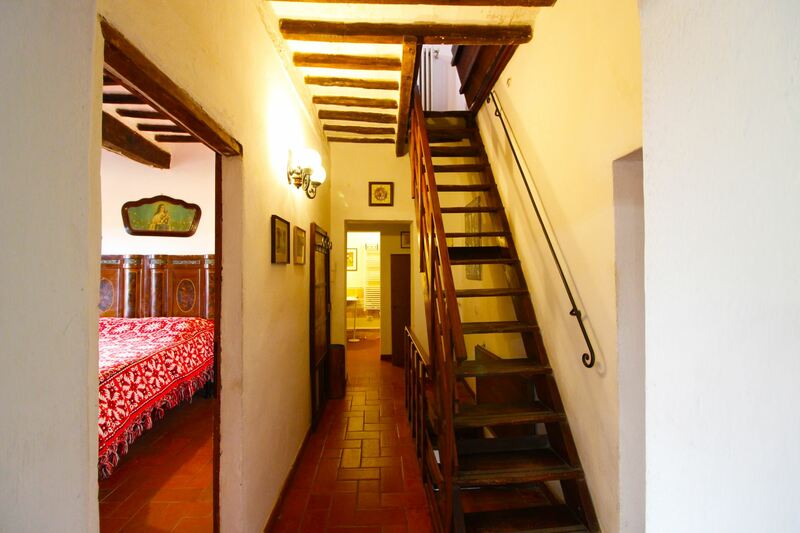 Possibility of LATE CHECK-IN until Midnight without extra charges. 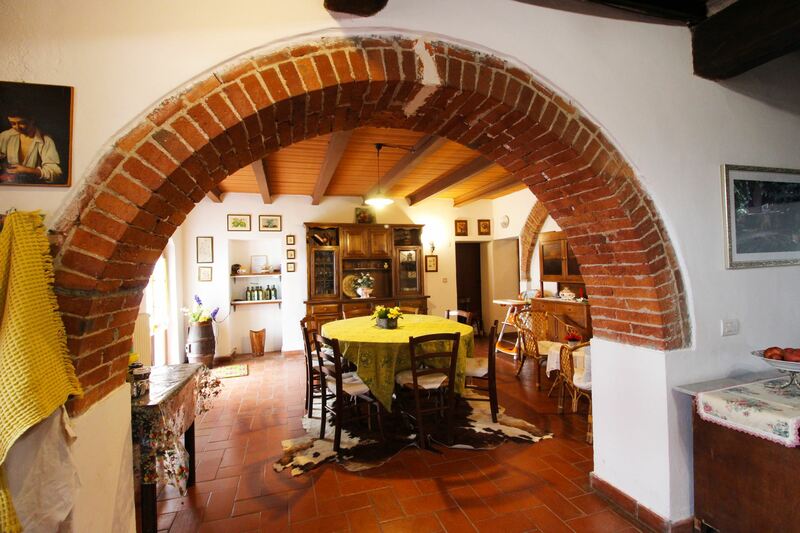 WELCOME BASKET with products for dinner and breakfast Euro 50.